The Chinese manufacturer ZTE, which is known for its cheap smartphones, is launching its first Smartwatch with Android Wear in 2017. The company's CEO, Lixin Cheng, told CNet in January , without mentioning details. Now , however, VentureBeat published a picture that the coming watch of ZTE should show for the first time. 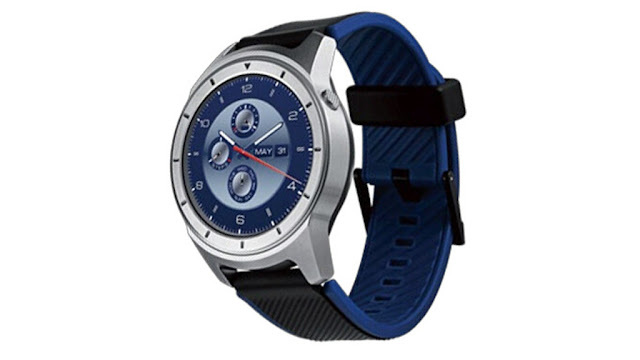 It is immediately eye: As the first watch of the company, the W01 without Android Wear, the Quartz (model number: ZW10) has a round screen and a metal housing with a button. VentureBeat does not provide any new details regarding further equipment. However, if you believe earlier reports, the watch offers beside WLAN also an integrated mobile radio module. This is the smartwatch without a connected smartphone and even make calls possible. In addition, it is expected that ZTE will release the new version 2.0 of Android Wear, which Google will officially release, according to the usually well-informed journalist Evan Blass. When and at what price the Smartwatch comes onto the market is uncertain. The Mobile World Congress taking place from 27 February to 2 March, on which ZTE may present the Quartz, could bring certainty.